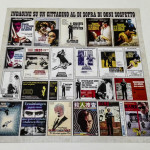 An incredibly significant film, still actual today in many ways, “Indagine su un cittadino al di sopra di ogni sospetto” (Investigation of a Citizen Above Suspicion, 1970) is just one of the masterpieces in which the director Elio Petri directs actor – one of the best Italian ones ever – Gian Maria Volonté, who here impersonates a police officer characterized by an unstable personality; abusing of his power, he hides his insecurities and a murder committed at the expense of his girlfriend (an irresistible Florinda Bolkan in a state of grace). 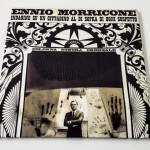 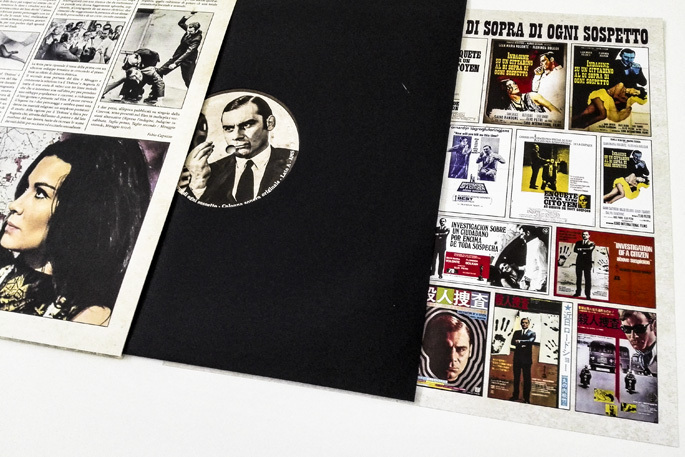 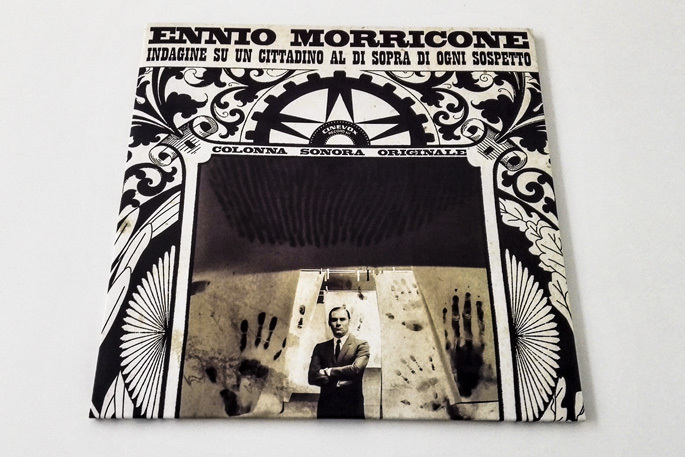 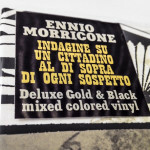 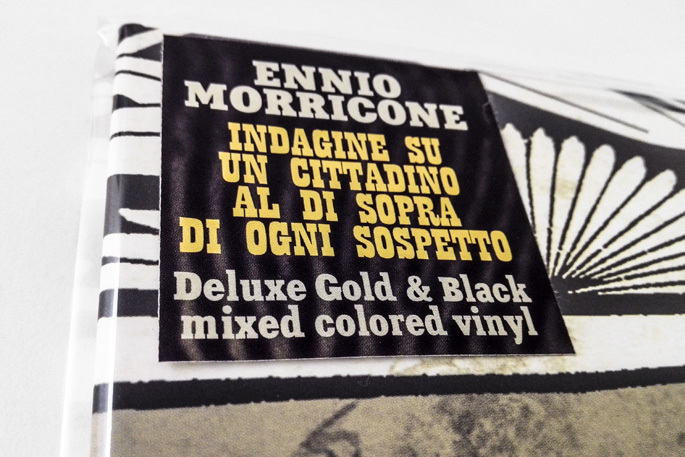 “Indagine” is an essential work, both from a cinematographic and a musical point of view, therefore it’s one of the best ways to get closer to Morricone’s incredibly vast discography. 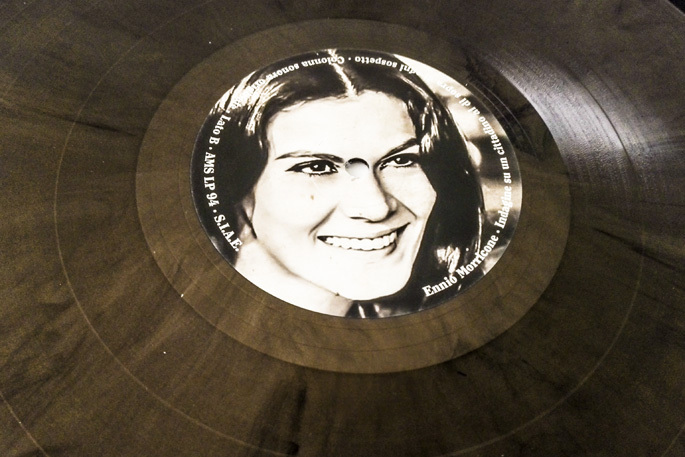 The approach to melodies is minimalist but also unsettling, having to music to evoke feelings of uncertainty and imbalance, which are proper of the main character. 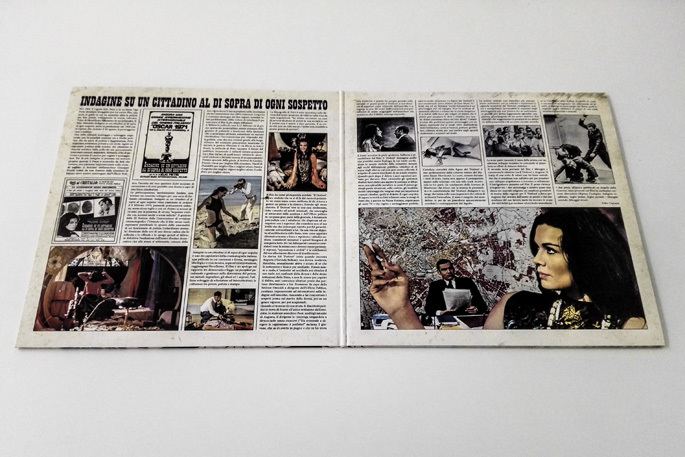 The use of musical instruments is more ‘popular’ and much less symphonic and bombastic; drums or percussions are almost completely absent, nevertheless the listener never loses the sense of rhythm, slow and obsessive at the same time. 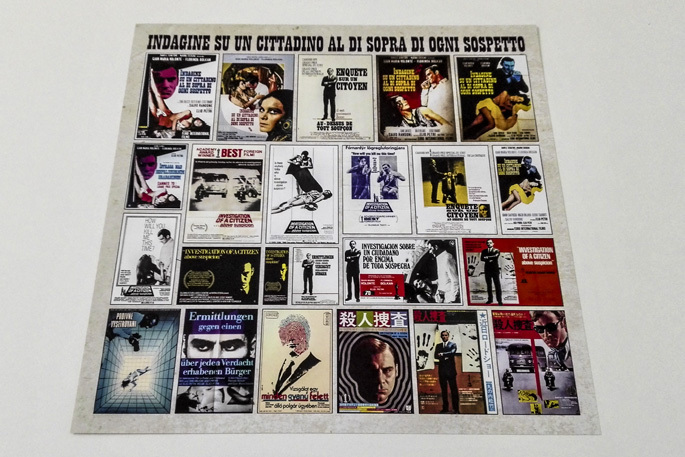 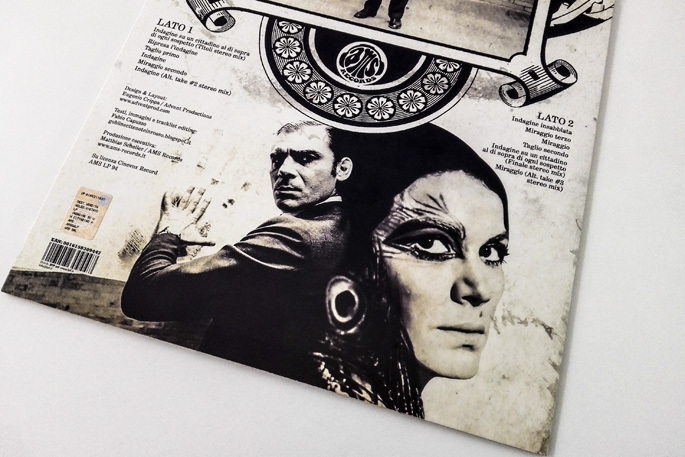 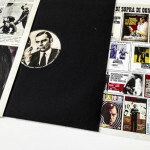 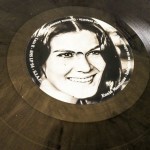 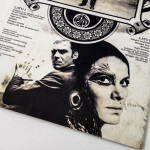 Despite the prizes earned by the film – including the Academy Award for best foreign film – Cinevox only released a 45rpm with the main theme of the film at the time, and a first ‘full-version’ of the soundtrack was only published in the ’80s. 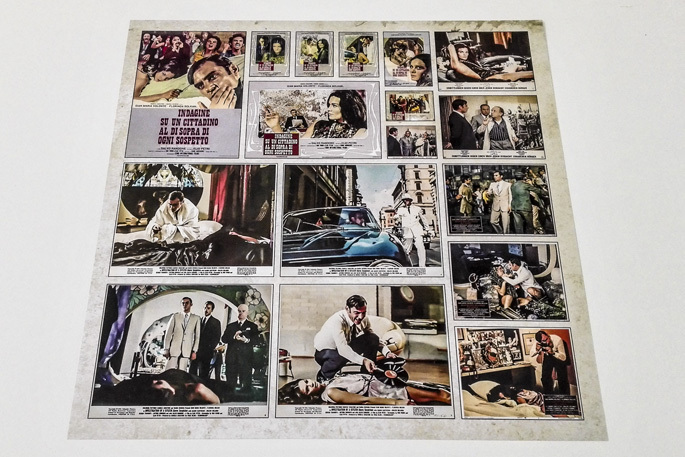 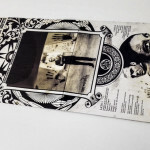 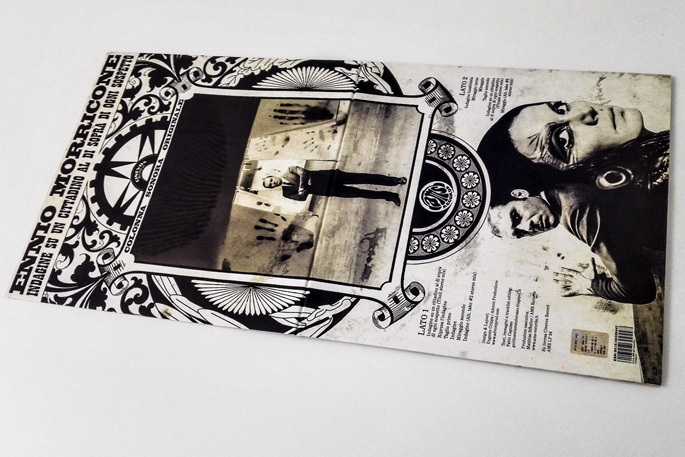 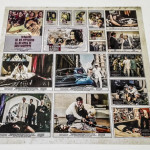 This new edition fills some other gaps, by including a specially selected tracklist, a never seen before artwork, a gatefold cover with extensive notes and a 30x30cm poster with a vast reproduction of lobby cards and posters of the film.